INTERPOL Washington—What is it? It’s a movie. It’s the latest spy novel…No, it’s a mobile app from INTERPOL Washington, a component of the U.S. Department of Justice. INTERPOL Washington, the United States National Central Bureau, serves as the designated representative to the International Criminal Police Organization (INTERPOL) on behalf of the Attorney General. INTERPOL Washington is the official U.S. point of contact in INTERPOL’s worldwide, police-to-police communications and criminal intelligence network. Want to learn more about INTERPOL Washington’s mission? 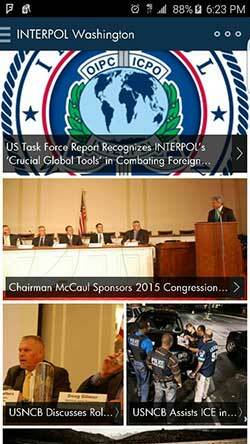 Download the INTERPOL Washington app from the Apple App Store or Google Play. The app is intuitive and easy to use. 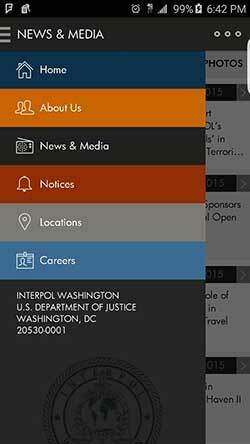 This feature-rich app’s menu options include INTERPOL Washington Home, About Us, News & Media, Notices, Locations and Careers. With the INTERPOL Washington app, you will have access to the latest INTERPOL Washington news, multimedia galleries and photographs of various law enforcement personnel in action, including U.S. Immigration and Customs Enforcement’s (ICE) Homeland Security Investigations (HSI). 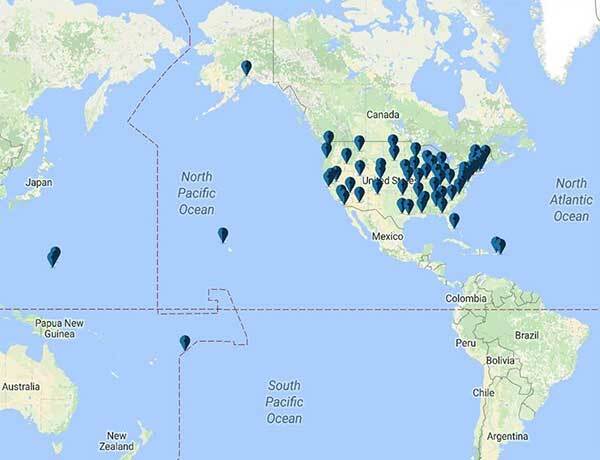 The app provides an in-depth explanation of the various notices issued by INTERPOL Washington and the significance of notice colors, and it lists INTERPOL liaison locations within the U.S. and U.S. territories. The app strategically informs the American public, elected officials and police organizations about INTERPOL Washington’s role in sharing and exchanging international criminal investigative and humanitarian assistance information. The app provides Capitol Hill, law enforcement officers and the public with timely, accurate and relevant information. Politicians, police and the public can stay connected and engaged, with this interactive app, in the fight against transnational crime 24/7/365. You can download this app and other cool mobile government apps with just a few clicks from our USA.gov Federal Mobile Apps Directory.